Tithe.ly is a church-giving solution that is completely integrated with church management tools. As an innovative platform, Tithe.ly is designed to inspire church members to provide benefaction and to improve engagement using mobile-giving functions. Churches and ministers are given a custom-made app, allowing them to upgrade their pledging and donation procedures. Tithe.ly also eliminates the traditional way of taking donations. Instead of passing envelopes and baskets, all gifts can be given conveniently through various digital means. 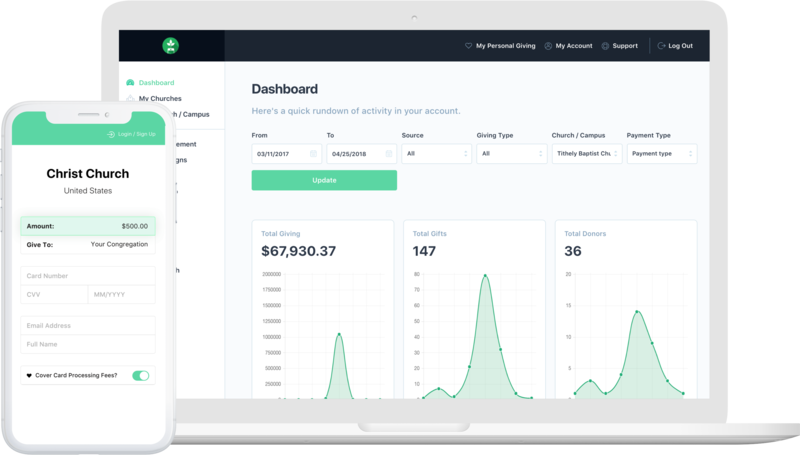 Additionally, the software lets you create invoices and statement accounts for churches and ministers so you can provide transparency to the congregation with regards to finances. With Tithe.ly, there’s no need for checks, baskets, and envelopes. Churches and ministries can now accept donations and pledges digitally. Tithe.ly offers a convenient way to make this possible: giving via texts, mobile giving using custom-made church apps, kiosk giving, portal, and admin entry for more substantial donations. They just have to choose which one works for them. The software also supports anonymous and one-time transactions if donors wish not to download an app or make a Tithe.ly account. After the giving process, pledges and donors automatically receive an email confirming that the charge has been made on their card. They can even get a digital invoice so they will see the amount of money they gave and to whom it was given. Besides that, the software also lets donors monitor the gift they gave. Their giving history is accessible, so they can see how much they donated to churches and ministries, making their accounting more efficient and transparent. The software supports system login via online banking credentials, which eliminates the use of routing and account numbers and make the gift-giving process easier while assuring that all account details are safe. Tithe.ly is highly protected to offer security and peace of mind to all users. Because of the convenience brought on by digital giving, donors can be encouraged to give more. Churches and ministers that use Tithe.ly notices an increase in digital giving of donors members. This is because of the recurring and scheduled giving.